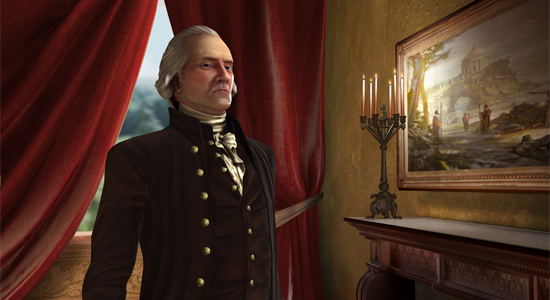 Firaxis shows off its strategy title's latest. ow do you innovate when the impulse is to venerate? Ask Pete Murray and Dennis Shirk of Firaxis Games, who presented a pre-alpha build of Civilization V to small, cozy audiences at PAX East. After nineteen years, the model for abetting virtual conquerors is unmistakable — emerge from Neolithic obscurity, cut cities and roads from stone, hammer ever-harder metals into the engines of war or peace, and incline toward a postmodern singularity. But if there is room for another member of the franchise, producer Shirk and his team will find it. Even at face value, the current build shows a new creative venture.Civilization V will "not be Civ IV-Plus-Something," promised Murray — and even at face value, the current build shows a new creative venture. Hexes now overlay a verdant, "organic landscape" featuring, Murray noted, obvious corridors of water between coasts and peninsulas — relieving players of having to contend with, or pronounce, isthmuses. And the world is going to stay a little cleaner: gone are mechanics necessitating "road-spam" and the martial "stack of doom." Cities will remain a battle's prize, but won't quite be where one is decided, as in previous releases — a decision historically accurate to Antioch, not so much to Stalingrad. Units themselves should better endure combat, a longevity hoped to establish a culture's military heritage over the passage of eras. Details of civics and politics remain under wraps, but Murray was happy to assure that "the research system will look familiar." A player's AI rivals, acting more closely according to historical parallels, still ought to surprise — Queen Elizabeth, for example, attempts maritime conquest first but adapts to a change in fortunes, responding to subtle and nascent threats such as fortifications and expansions. Neutral civilizations, meanwhile, will offer much more value as allies than conquests. Perhaps the most notable sentiments from Murray and Shirk were praise of modders and consideration for casual players with potential to become aficionados, motivating the creation of amateur-friendly tools and other solutions to bring custom content to players unacquainted with the modding community. Beyond that: watch and wait as Firaxis and publisher 2K Games make good.